I believe that we have confused courtship with dating. Dating is what most people in the American culture do. Courtship is what most people in the American culture aspire to do, but conform to dating because either they don't know how to court, they realize dating is easier, or they have been socialized and conditioned to find their mate one way, not the other. 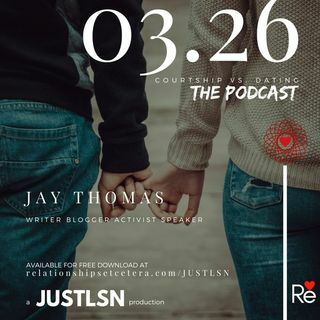 In this weeks podcast, I will give the true definition of courtship and dating — also highlight the major differences between ... Maggiori informazioni them. In addition, why I believe dating has has overtaken courtship in the U.S., consequently resulting in more broken relationships and marriages.